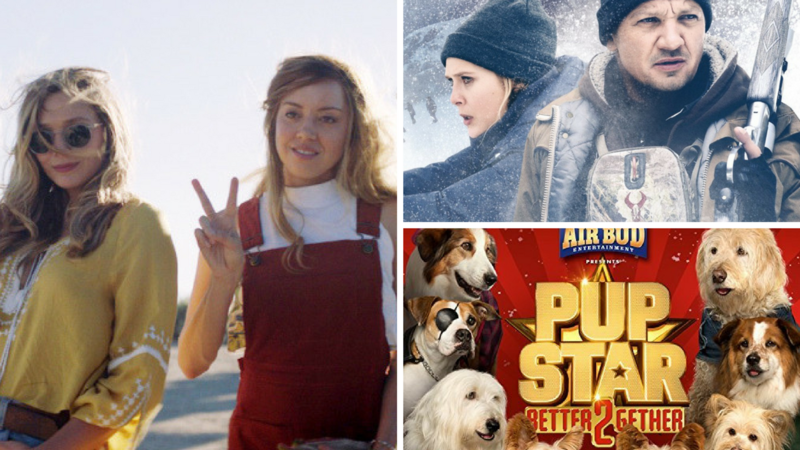 This week on the podcast, Casey and Greg won the Film Roullette roll and watched their picks for the week: the former caught the social-media dark-comedy Ingrid Goes West, while the latter watched the dark and disturbing thriller Wind River. Meanwhile, Dan raised the woof and watched the bizarrely fascinating Air Bud Presents picture Pup Star: Better 2 Gether. All of this, plus a review of Allman & Woman’s album Two The Hard Way, a discussion of movie news and things we’ve been watching, and so much more!